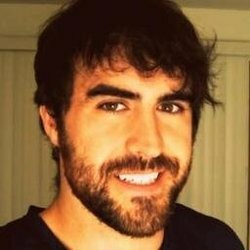 Kenneth Morrison, or more widely known as CinnamonToastKen; is a Youtube video game commentator, streamer, and vlogger. Being born is Mississippi to a family of Moon-shining, bluegrass playing werewolves, ken has taken a strong stand agaist infantile alcohol abuse and underage facial hair. His campaign has been a complete success. Ken is most widely known for his collaborative work with other top YouTube channels such as Pewdiepie, Smosh, CaptainSparkles, TobyGames, and many more. Alongside Pewdiepie, Markiplier, and other generous YouTube personalities they have successfully raised $446,512 to proce clean water to those in need. Aside from gaming commentaries and collaborations, Ken has also provided game reviews, skits, and participated in game shows across the YouTube community. He also vlogs abous his life, girlfriend, and lovely corgi puppy 'Betty Brutal' that has quickly captured the hearts of his fans and even been featured on other YouTubers channels and 9gag.tv.